Along with medals from JFK's college years, including one for his time with the Harvard Crimson. By Lisa Weidenfeld·	 11/8/2017, 10:41 a.m.
John F. Kennedy enthusiasts have another chance to acquire some paraphernalia from the president’s early life. RR Auction is selling off two medals from his college years in auction today. 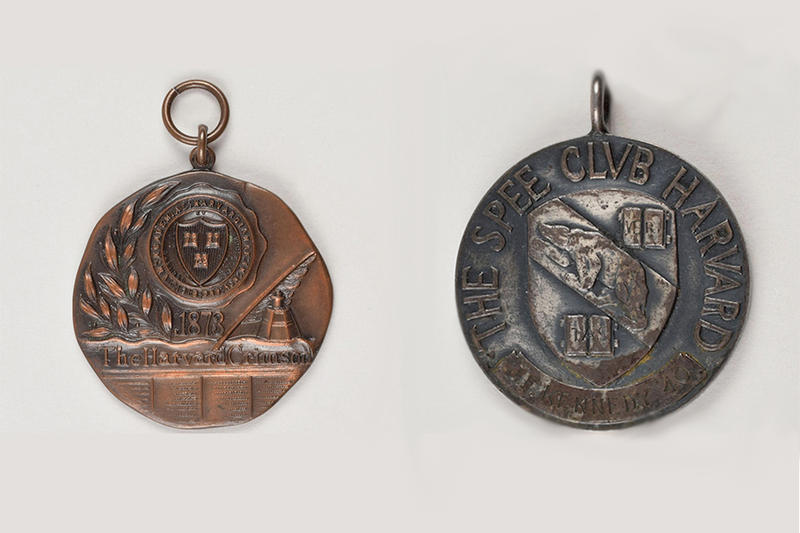 One medal recognizes his time with the Harvard Crimson, while the other represents his membership in the Spee Club. The club, which Robert F. Kennedy also joined, was one of Harvard’s infamous final clubs, the elite all-male social clubs that have lately come under fire at the university for their refusal to admit women, among other reasons. Kennedy was the business editor at the Crimson during his time at Harvard, and was apparently proud enough of his Spee Club membership to wear a Spee Club tie in one of the few painted portraits done of him during his lifetime. 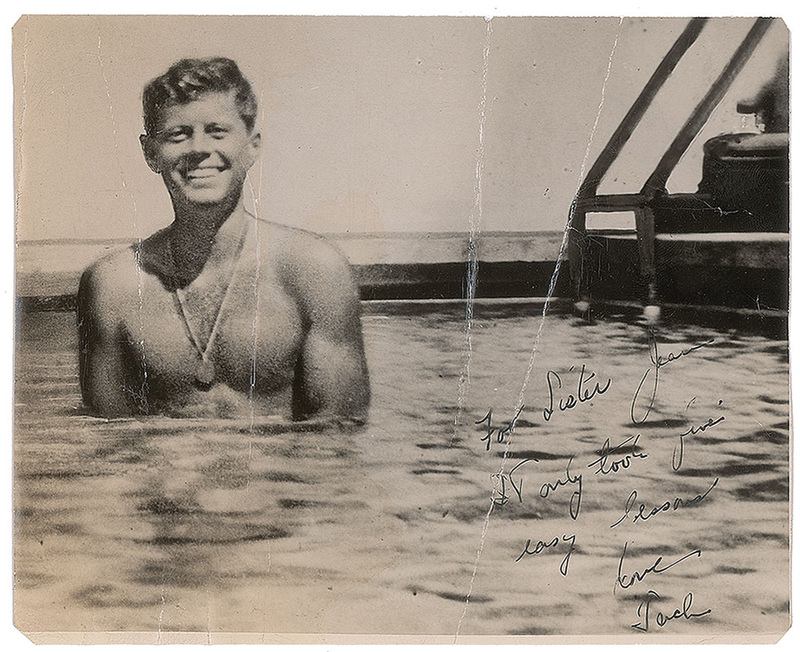 But perhaps the most exciting item up for auction is a photo of a young, swimming JFK, circa 1942, addressed to his sister with the message, “It only took five easy lessons.” What kind of lessons? This mystery remains, as does whatever workout regimen the young Kennedy was following. Were there protein shakes involved? Lifting weights? The 1942 version of crossfit? Ponder these mysteries yourself by buying the picture at auction (the deadline ends today) and enjoy thinking about what a fine, uh, political leader he would become.